We can supply and repair the widest range of engine management units - contact us if you don't see your unit listed here! It is easier to ask the question what do we not do, rather than what do we do. By adopting the latest Japanese workflow methodologies BBA is geared up for single piece workflow of a high range of ECUs. In fact we would throw down the gauntlet and suggest that our fully online catalogue contains the largest range of European and Continental applications in the world! (Please click here to view our catalogue). Don't take our word for it…have a look. If its not in the catalogue, don't despair. We will still look at the unit, and provided we can find pin out information, we can help. 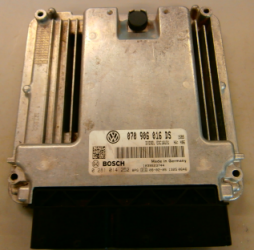 Increasingly from 1995 onwards ECUs are immobilised, preventing a standard test and replacement from your local motor factor. Our research has given us a large database of solutions to this problem, and there are very few things that we cannot help with. Even grey import cars are rarely a problem. Your main dealer quotes you a price for your import Mitsubishi FTO of £1200 uk. You're not even sure if the ECU is the problem. Call us for a full test. If its faulty and you have a repair we even waive the test fee! Oh, and did we even mention free collection? 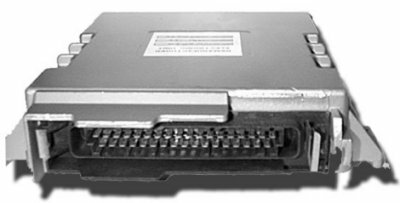 If you have an intermittent problem with a suspect ECU, whereby symptoms only occur twice a week, a standard test will probably not reveal the problem. By prior arrangement only, BBA can sometimes provide a test hire for three days. If the unit solves your problem the unit is yours. If your problem is still there because its something else on the vehicle, just send it back within the required timeframe. We will then refund you less the hire fee less the carriage. So whether it's a 1992 Ford Fiesta or 1999 Mazda 626 - try us!